Dogs are great animals. You pet them and they lick your hand, you throw a ball and they go and fetch it. They are so lovable because they respond and interact with you. Stuffed animals, on the other hand aren’t quite as much fun – just try throwing a ball in front of one. They aren’t interactive and they aren’t responsive. 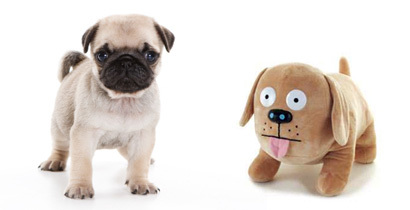 So this leads to the question… is your website a dog or a stuffed animal? Interactivity and responsiveness go hand in hand to create a truly exciting, flexible and accessible web experience. For many years web design was constrained to desktop devices, with screen resolutions typically ranging from 800 to 1280 pixels wide. However, with the mobile browsing boom upon us and desktop screen sizes getting bigger and bigger, how do you design a website which can cater to screens ranging from 320 to 1920 wide? Responsive design is the answer. Building a website which is flexible enough to adjust to wherever it may be viewed, whether it be a smartphone, tablet, notebook, laptop, television or some monstrosity of a desktop monitor. Responsive design is about creating a site which can “respond” to its surroundings; adapting its layout, scaling up or down, hiding or revealing certain elements, and ultimately catering to the needs of its users. Axcept Media specializes in fusing interactivity with responsive design to really create web experiences which are exciting, accessible and flexible. So recycle your stuffed animal and let us create you something that will love you back!